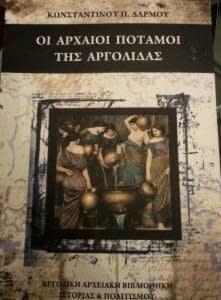 This summer I picked up a cool little book on the ancient rivers of the Argolid in my favorite bookstore in Argos. 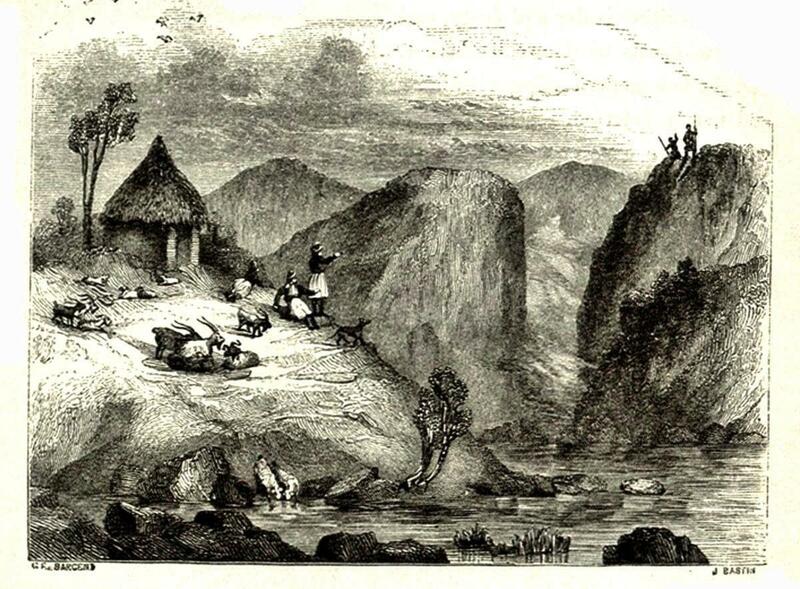 It’s got some interesting stuff in it, including some reproductions from Christopher Wordsworth’s Greece: pictorial, descriptive, and historical (London 1840), which includes nearly 400 images, mostly wood engravings but also some steel engravings too. There are two images of our survey area. 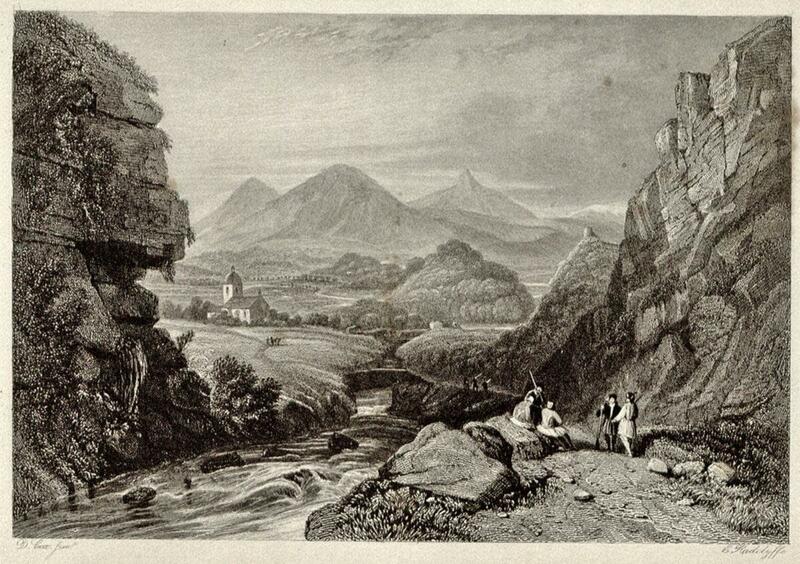 The first is a steel engraving entitled “Scene on the Inachus, near Planitza, from a sketch by Hervé.” Planitsa (or Planitza, or Panitsa/Panitza) is actually the old Greek name of the Inachus river, so perhaps there’s some confusion here in the label; or perhaps there was a local toponym also called Planitza? 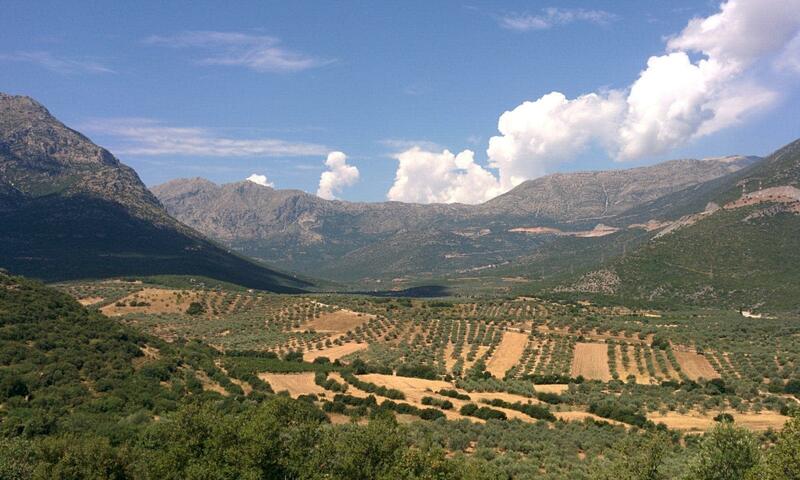 The sketch, assuming that it’s reasonably accurate, must represent the narrowing of the valley just to the west of the village of Sterna, near the church of Ayios Nikolaos. Hervé, incidentally, was an English artist and author commissioned to create portraits of the leaders in the Greek War of Independence. 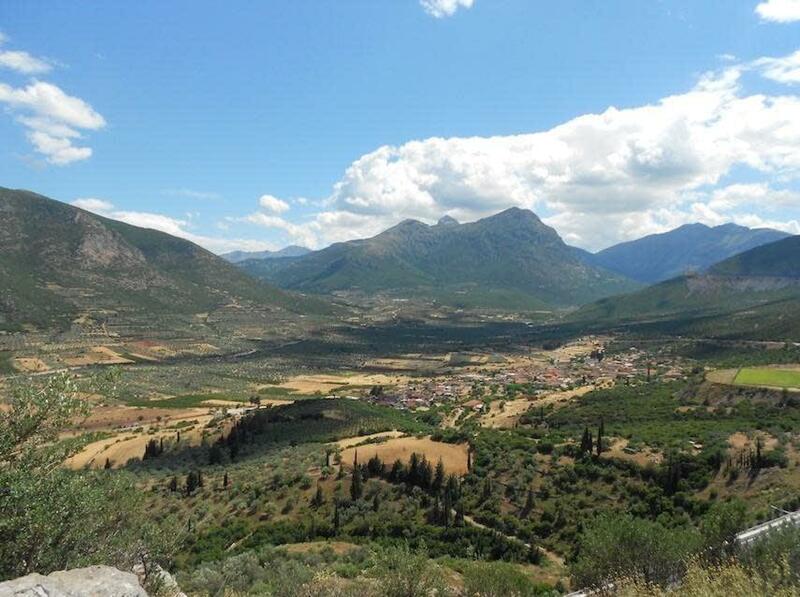 He wrote a book about his travels, but there are only a couple of drawings in it, including one of Argos, and he spends more time talking about the snakes and dogs of Greece (“Another of the offensive objects in Greece consists in the dogs…”) than about Argos or the Argive countryside. I really need to track down his lithographs, despite his less than charitable views on early modern Greece (e.g., “the Greeks are so totally destitute of any idea of the art of painting” or “The mixture of rich luxury with primitive barbarism [in their clothing] is worth of remark” although he does say that men from Hydra are “particularly good looking” — useful information, I guess). At any rate, it’s interesting that the first sketch includes a bridge over the river; in our survey we weren’t able to detect any traces of old bridges. It’s something that I meant to follow up on with some of the men in the village who have an enormous wealth of local knowledge that they’re interesting in sharing with me, but in the rush to finish up all of our work, I never managed to ask them. Next season! The church in the first image is interesting, since there’s only one standing church (that we know of) to the south of the Inachos. If we assume that this image is from the southwestern edge of the survey area where the river really narrows at Plati Pigadi it would confirm my guess as to where there might be a bridge as well. Yeah, of course! I was confused about that church and wondered if it was inserted to add some charm, but you’re right, it does look like the narrows between Lyrkeia and Kapareli, in which case the church would be the old Ayioi Theodoroi. Neat.